So the Semla history? I don't know anything about it (didn't some old Swedish king die from eating only Semlas?). I could just google it but I don't care. It's not important. Now I'll tell you what's important with the Semla. And that's how you bake it on a coffee maker. Oh! 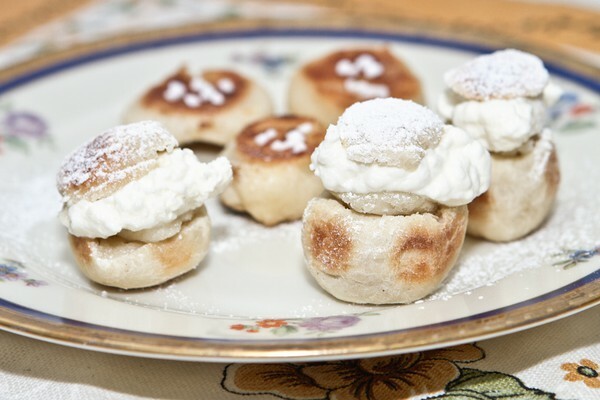 I modified the Semla into Semlapraliner (like baby Semlas). So now you can eat lots of Semlas instead of just one at a time. Because let's face it... You only need to eat one normal sized Semla. They are quite filling and you feel disgusted after eating them. But they are great! In the background you can spot coffee maker baked baby cinnamon buns. Make the dough like Maria did. Start the coffee maker. 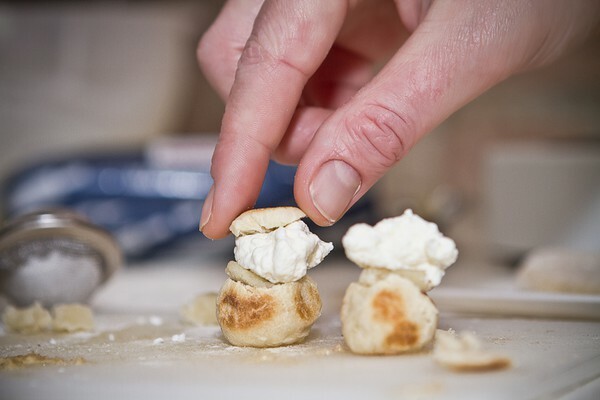 Split the dough into small pieces and form them into little buns. 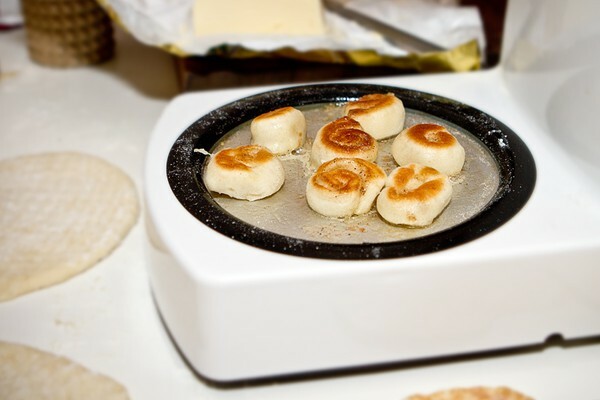 Bake them on the heater for approximately 40 minutes (depending on the size). Twist and turn so they get baked thoroughly. 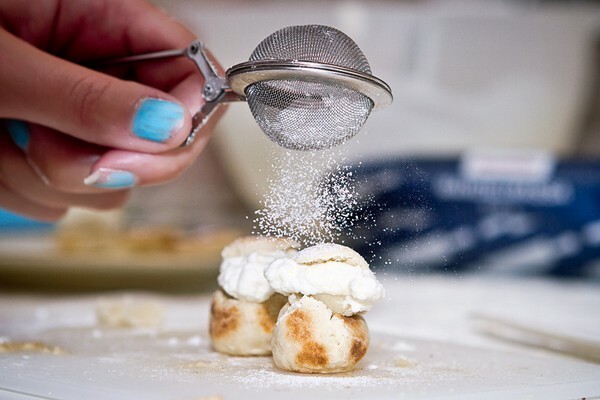 Mix sugar, vanilla and cream and whip it hard so it gets really fluffy. Cut the tip of the baked bun off and spread a wide layer of almond icing on the bottom. OOOooh! You can even add some almond icing in the whipped sugar cream if you fancy almond icing as much as I do. Add sugar (and almond icing) cream and put the little lid on top. Cover it with powder sugar. And the fika is ready! This was, as you can see, the baking of the baby cinnamon buns. But it looked almost the same. We baked lots of other things that day, and other days as well. One of my all time favorite recipes I've made together with Maria and that's "7 sorters kakor". Well I might have 20 favorite coffee maker made recipes but 7 sorters kakor (7 kinds of cookies) is definitely one of them. Gonna show you how to bake that soon in another blog post!